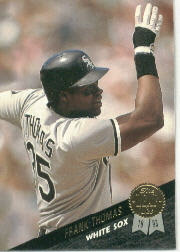 Tim Raines 90.4% – easy. don’t get me wrong. He’s an HoFer. I just don’t think, including steroid allegations, he’s a first-ballot guy. Not if Piazza wasn’t. “Black ink” are times leading the league. in anything. Six times, Vlad? Hmm. What were those career numbers? .318, 449hr, 1496rbi, 181sb (with 94 cs!!!). great player. GREAT player. but i can live with him not being a first-ballot guy. Barry Bonds 71.1% – love this. should be in. no conversation necessary. Roger Clemens 71.1% – see above, though pre-emptive footnote in my schilling argument below. Trevor Hoffman 71.1% – ugh. fine. WHIP was 1.05 and averaged 9.4 Ks/9. Saves total of 601 is pretty hard to marginalize. I mean, I’m the first guy to say ‘anybody can close for a year or two’ (Keith Foulke, Jeff Shaw, we’re looking at you) but seriously 30 saves/year for 20 years extrapolated here is amazing. fine. you happy?!?!?! still, for me 1089 career innings is pretty wispy. Edgar Martinez 68.9% – stop tormenting me, man! why do people love this guy’s candidacy so much????!?!? look, for me it’s not even the whole ‘he was a DH and you can’t hold it against him’ thing. it’s that .312 and 2247 hits are not that impressive. that’s a swell career. but you know where that ranks on the all-time hits list? 170th. i know because i made a google doc about it. he’s right between Bert Campaneris and John Olerud. I mean, definitely some legit guys on this list but, um. Not Hall of Famers, all. Mike Mussina 63.0% I’m all in on this guy now. He’s getting in. 270 wins is massive. Don’t love the 3.68 ERA but 1.19 WHIP in that era is just fine for me. Never won a Cy but 9 top-10 finishes is great. go get ’em, Moose. Jeff Kent 11.1% speaking of punished, this guy and Sheffield are the two guys that are unfairly maligned due to perceived difficulty, personality-wise. they’re both winners, so there’s one irony. secondly, i mean look at this: .290, 377hr, 1518rbi. first all-time in dingers for 2b, 3rd all time in RBI – behind a couple guys named Hornsby and Lajoie. Cmon, folks. shut up and mark the ballot. 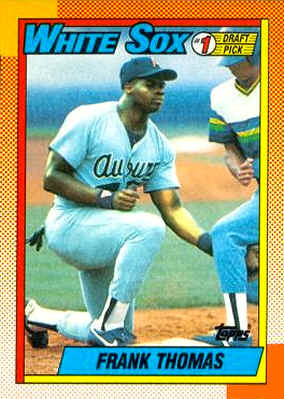 Fred McGriff, 12.6% Bagwell is a shoo-in, right? 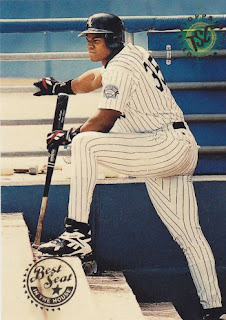 Now guess who played in the steroid era and has been speculated to have roided? Larry Walker, 25.9% cool player, good player but .313, 383hr, 1311rbi just needs to be more impressive with more than half a career in Colorado. Looks like we’re set to have a great crop of HoFers for the next few years. Regardless, always great to speculate toward year-end. Happy New Year to all, here’s to a great 2017 and beyond. So my pops and I attended the Dodger game tonight, and in the course of conversation, the Hall of Fame arose. . .we thought about which modern-day (post-roid) ballplayers are locks for the Hall. This Excludes young dynamos such as Kemp, Cain, Trout (! ), etc, that are sub-30 years old. . .accordingly, we came up with a grand total of. . . But that’s IT. Two points here: 1) any omissions? 2) this list is conspicuously light on players that started their career between ’95-’04, eg Roid Era players. I mean has there been a ten year span with only SEVEN players that started their careers entering the Hall? Hmmm . . . The McGwire steroids admission is not so much a surprise as a cathartic release for Big Red. A good person by all counts, he was clearly pained when he didn’t want “to talk about the past” and was living under a self-imposed exile from baseball until good ol’ Tony LaRussa dragged him back to be the hitting coach for the Cardinals this year. He knew that he’d eventually need to talk about the past, and the surprise is not so much the admission, but the level of detail – Big Mac outlined the years of usage, and his opinion on how successful he was/wasn’t in roided years versus non-roid years. Here’s the testimony, as well as the beginning of the AP story (Below). Also note – this definitely affects his Hall of Fame chances, and I think it will paradoxically have a POSITIVE influence on votes. I realize most BBWAA members are curmudgeonly, white, male & self-righteous, but there was a certain charm possessed by McGwire; it may have been that he saved the game, it may have been his prodigious blasts – I think more than anything, voters were waiting for an admission before really giving him his chance. We’ll see what happens a year from now. “Now that I have become the hitting coach for the St. Louis Cardinals, I have the chance to do something that I wish I was able to do five years ago. I never knew when, but I always knew this day would come. It’s time for me to talk about the past and to confirm what people have suspected. I used steroids during my playing career and I apologize. I remember trying steroids very briefly in the 1989/1990 off season and then after I was injured in 1993, I used steroids again. I used them on occasion throughout the ’90s, including during the 1998 season. During the mid-’90s, I went on the DL seven times and missed 228 games over five years. I experienced a lot of injuries, including a ribcage strain, a torn left heel muscle, a stress fracture of the left heel, and a torn right heel muscle. It was definitely a miserable bunch of years and I told myself that steroids could help me recover faster. I thought they would help me heal and prevent injuries, too. Baseball is really different now — it’s been cleaned up. The commissioner and the players’ association implemented testing and they cracked down, and I’m glad they did. I’m grateful to the Cardinals for bringing me back to baseball. I want to say thank you to Cardinals owner Mr. DeWitt, to my GM, John Mozeliak, and to my manager, Tony La Russa. I can’t wait to put the uniform on again and to be back on the field in front of the great fans in Saint Louis. I’ve always appreciated their support and I intend to earn it again, this time as hitting coach. I’m going to pour myself into this job and do everything I can to help the Cardinals hitters become the best players for years to come. 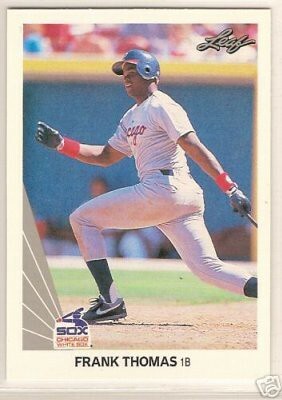 I personally would have Roberto Alomar along with Dawson, and down the road McGwire, Larkin and Tim Raines (best leadoff hitter outside of Rickey for about 15 years). Perhaps Dale Murphy too – Jack Morris and Bert Blyleven need each other’s shortcomings (give Bert Jack’s postseason or give Jack Bert’s regular season and they’re both shoo-ins). McGriff was VERY low, but tough era for the Crime Dog. Love that guy.